Over the years, there has been increasing security concern in international politics and relations, especially in water bodies. Maritime security is the protection of goods or freedom at sea. Some of the issues which revolve around maritime insecurity include illegal fishing, piracy, illegal goods, and human trafficking. Similarly, international rivalry and maritime terrorism are also included in the definition. Essentially, commercial organizations, naval forces, and private individuals require new technologies which will equip them with tools required to monitor seas and alert them during security threats. Security in the maritime environment can be explained as the presence of a stable order at sea. Security enhancement in water bodies was catalyzed by the frequent attacks at the port facilities. Consequently, many international organizations and numerous states have rolled out their security strategies in security. There are notable detrimental effects of sea insecurity which affect the environment, security, and development. Piracy is one of the oldest forms of maritime insecurity. Piracy is criminal violence from a boat toward a coastal region or another boat. Due to the development of international law and sovereign states piracy especially along the European region has reduced significantly. However, in other regions such as the horn of Africa, the number of pirates has increased significantly. In most cases, piracy occurs in areas where control by authorities is an uphill task. Basically, maritime terrorism refers to acts of terrorism in a maritime environment. Perpetrators of these acts use vessels to attack other vessels, ports or facilities in ports such as tourist hotels. However, cases of maritime terrorism are few. The absence of maritime insecurity is directly linked to blue or economic growth. Security enhancement at sea, therefore, calls for more coordination, regulation, information sharing, and international law enforcement. A major concern, however, is in the regulation enforcement and capacity of the enforcing body. There is no international consensus defining the security of the maritime environment. To understand maritime insecurity or security it is imperative to observe it from two perspectives. The first approach is a response to security threats which comprise traditional security concerns. This traditional viewpoint involves border protection in areas considered as sovereign states. Additionally, it involves exercising military power. The other approach concerns security responses to maritime threats. It helps to reduce crime which would affect states interests. To fully combat security in major water bodies, it is prudent to integrate these two viewpoints. Disaster relief calls for security cooperation among states and security organizations. Major developments in combating terrorism and piracy are already in top gear. For instance, private security companies have developed more sophisticated security strategies to deal with maritime insecurity. 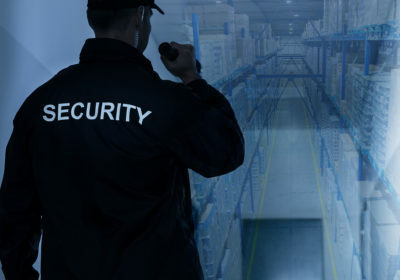 Practically, these companies offer security services such as risk assessment and onboard protection both at port and sea. Due to experience and expertise, they know what to look for. Hence, they successfully stop security incidents even before they occur. As a result, piracy and terrorism cases are becoming less common. With improved security, the blue economy will certainly grow tremendously. The future is bright.